Zdzislaw Najder, one of the world's leading authorities on Joseph Conrad and author of the major biography Joseph Conrad: A Chronicle (1983), is widely acclaimed for his particular insights into Conrad's Polish background. The fruits of thirty years of Conrad study appear in this landmark volume of his essays, which explore a wide range of topics: Conrad's national and cultural heritage; his fictions, from the unfinished 'Sisters' and Lord Jim to The Secret Agent; his attitude towards Russia in general and Dostoevsky in particular; his concepts of man and society; and the role of the idea of honour in his work. In a series of more general essays Najder goes on to place Conrad's work within a broad European philosophical, political and literary context. Conrad in Perspective offers new insights into the life and work of one of the twentieth century's greatest novelists by one of his most perceptive critics. Najder's insights are brought to bear on Conrad's national and cultural heritage, on his fiction itself, on his concepts of man and society, and on his European context. 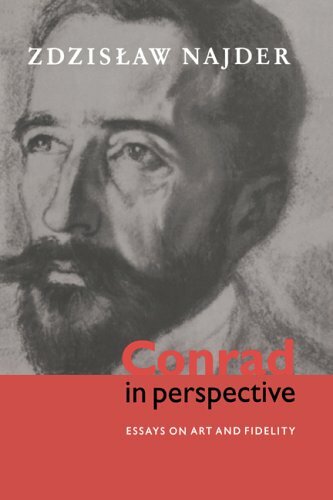 The volume offers new perspectives on Conrad's life and work by one of his most extraordinary critics.